Industrial computer-controlled knitting machines are churning out seamless three-dimensional fabric objects as you read this -- think gloves, sweaters, sportswear, furnishings, architectural fabrics, and plushies. But right now the programming languages for these machines are terrible. With a knitting machine, complex structures are formed with a very limited set of low-level machine operations. Thinking on the level of those machine operations becomes untenable pretty quickly when you start trying to make real objects. How can we ensure knittability? Can we encode constraints in an understandable way? Can we optimize production speed? We'll look at several ways to describe knit structures and generate machine instructions for their fabrication, including both the delightfully arcane language that ships with the machine and the language from our SIGGRAPH 2016 technical paper, "A Compiler for 3D Machine Knitting." 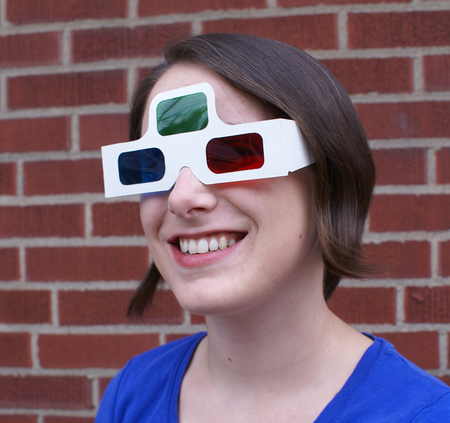 Lea builds things in a wide variety of digital and physical media. She works in the Textiles Lab of Disney Research Pittsburgh.